Description - Shaw's Declare carpet tile features a unique combination of linear and hidden angular shape patterns that are sure to look great in any space. Available in several subtle color options that are perfect for residential or commercial use. This tiles is designed to match with Document and Disclose carpet tiles as well, and can be designed any which way with no dye lot issues. Backed by a 10 year limited commercial warranty. Material - 100% solution dyed PIVOTAL nylon fiber with an synthetic StrataWorx backing. Weight - 0.42 Lbs./ square foot. Recommended Uses - Shaw Declare Carpet Tiles are a wonderful flooring solution in daycares, bedrooms, basements, waiting rooms, offices, libraries, schools, businesses, and more. 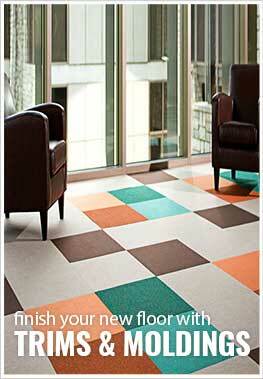 Tiles can be installed in various ways with no limitations and no dye lot issues. Coordinates with Document & Disclose carpet tiles. Easy to install. Easy to cut. Used the double sided tape and it installed easily. I have been considering upgrading the floors in my home for 5 years now, and finally got the nerve to get down to business. Very happy that I did, and happy to have a durable floor that will last years. Cool pattern for family room update. Put the tiles right over the existing hard floors. I love how professional this carpet makes my office look. It's durable and also stylish.